LIVE from the Newseum in Washington DC on November 13th! WASHINGTON (Reuters) - Boeing Co (BA.N) is planning to send a bulletin to 737 MAX jet operators as soon as Wednesday advising them of the procedure for dealing with erroneous cockpit readings that could cause a dive, a person briefed on the matter told Reuters. The advice is based on preliminary information gathered in the investigation of a Lion Air flight that crashed in Indonesia last week killing all 189 on board, the person said. Experts say the notice could be about the "angle of attack", which is the angle of the wing relative to oncoming air stream, a measure that indicates if a plane is likely to stall. Indonesian accident investigators said on Monday that an airspeed indicator on the crashed jet was damaged for its last four flights, but U.S. authorities responded cautiously to suggestions of fleet-wide checks. Bloomberg News reported the planne d bulletin from Boeing earlier on Tuesday and said the manufacturer would alert pilots to follow existing procedures to address the issue. 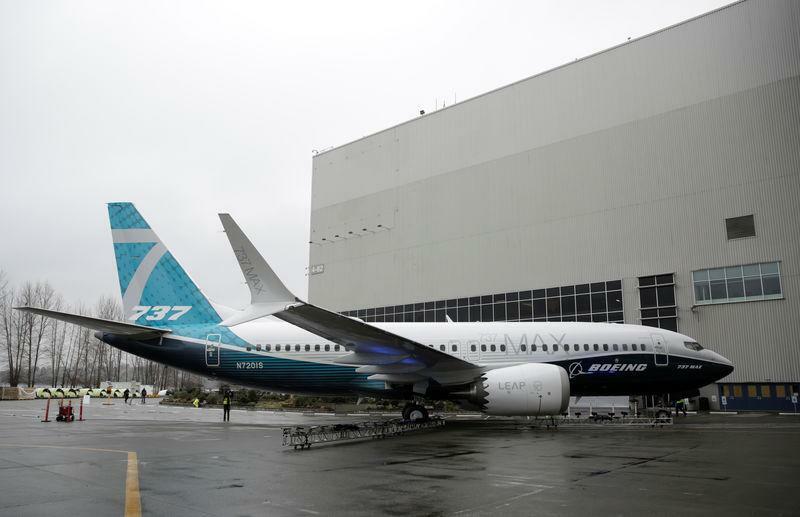 Representatives of 737 MAX operators, Singapore Airlines Ltd (SIAL.SI) offshoot SilkAir, Garuda Indonesia (GIAA.JK) and Canada's WestJet Ltd (WJA.TO), said they had not yet received a bulletin from Boeing. Recently ViewedYour list is empty.